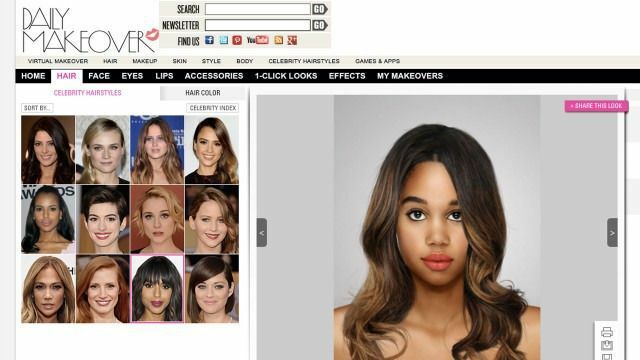 Sites such as Taaz and Daily Makeover allow users to upload photos of themselves to test out new makeup, hairstyles, brow shapes and more. Curious about what you’d look like with Jennifer Lawrence’s pixie cut, or Beyoncé’s long blonde locks? It’s just a click away. Taaz is an uber-customizable makeover site with which you can restyle yourself from the neck up. Users can upload photos of themselves (or just use a variety of the site’s available models, if you’re a little gun-shy) and try on new hairstyles, makeup, and accessories. 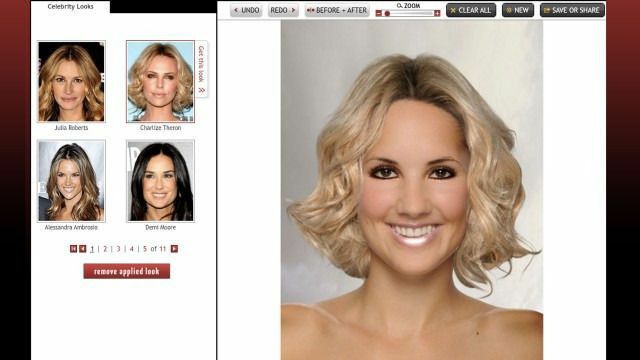 While most virtual makeover sites that offer this kind of thing look hokey and unrealistic, Taaz is dedicated to accuracy and detail. Daily Makeover is similar to Taaz in that it offers the same kind of makeover experience for hair, makeup, total looks and celeb inspiration. However, it’s even more customization, allowing users to virtually try on colored contact lenses, glasses, experiment with eyebrow color and thickness, and more. 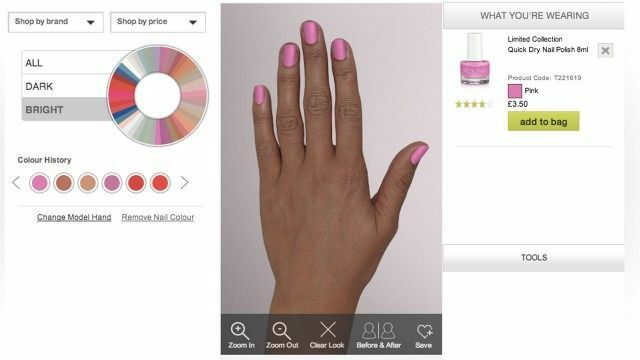 The Marks and Spencer virtual manicure lets users select from a variety of hands that closely resemble their skin tone. From there, you’ll be able to see how a rainbow of different nail colors would look with your shade. Ever wonder how to upgrade your skincare routine? Start with an online quiz. 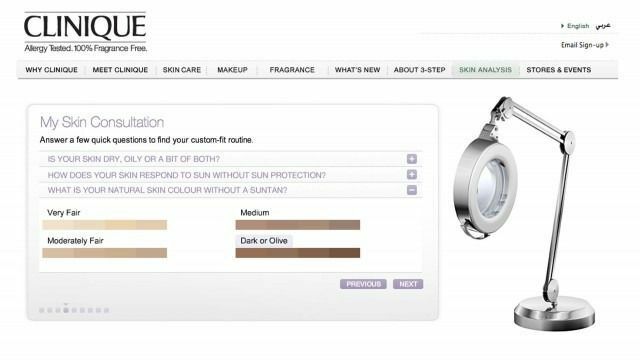 Beauty brand Clinique offers a free consultation, which asks about your skin type and what kind of problems you’re looking to solve (such as minimizing pores, diminishing wrinkles and more). 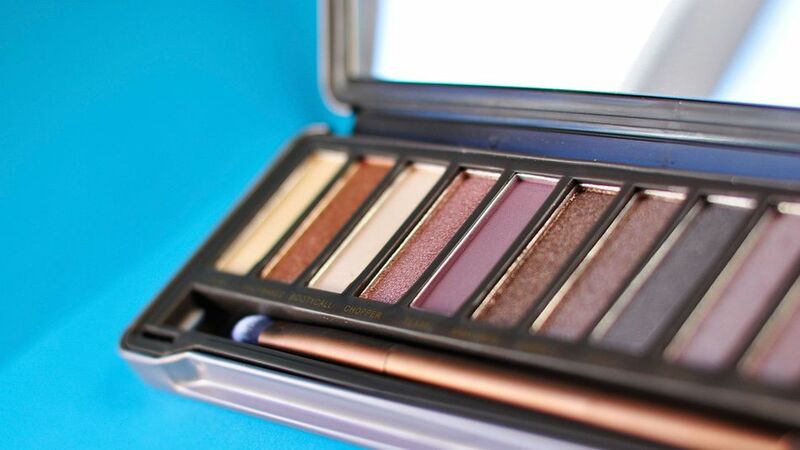 At the end, it defines your skin type and recommends a variety of Clinique products you could try. It’s limited to their items, but the quiz is still useful for finding spotting your skin problems. Skinterra provides a similar yet lengthy quiz. It asks about your skin type, daily regimen, products you might currently be using, exposure to the sun and more. Afterward, the company emails you a recommended list of products and a daily care regimen you should try. If you’re working on putting on or taking off a few pounds and want to imagine what your body will look like, try the simulator Model My Diet. 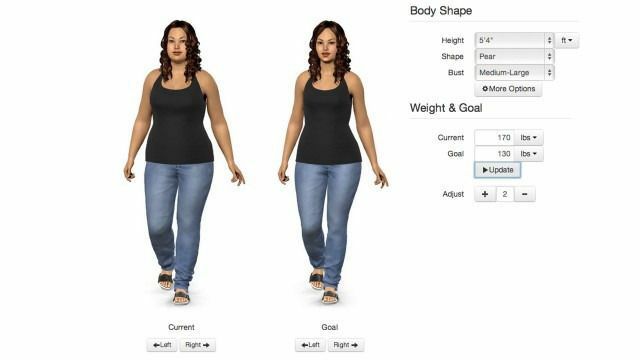 It lets users customize virtual male and female models to see before and after types of results, and can be used as a motivational tool for someone who wants to track his or her weight online. However, all body types are different, and Model My Diet is based on virtual models. If you’re curious about seeing a variety of real bodies, try My Body Gallery, an online community where people post photos of themselves and give stats on their height and weight. Even if you’ve never considered getting it, you’ve probably always been a little bit curious about plastic surgery. 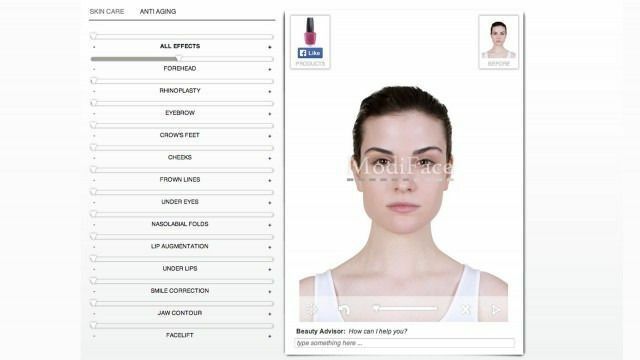 ModiFace is here to feed that curiosity, showing users how they would look with rhinoplasty or jaw contouring. If you’re considering getting an operation in the future, this site will help show you how those modifications might turn out. Just remember that you’re already beautiful as you are.